Highlights of England’s Euro U21 Championship match against Slovakia. 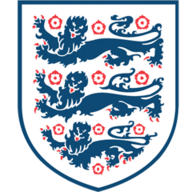 England bounced back from falling behind to beat Slovakia 2-1 thanks to goals from Alfie Mawson and Nathan Redmond in their European U21 Championship group game. Martin Chrien opened the scoring with a perfectly-timed glancing header that sailed past the flailing Jordan Pickford and into the far corner. But an inspired England came out in the second half and scored two goals in 11 minutes to complete a vital win that gives them a chance to progress out of the group stages. The victory sees England move top of Group A on four points, with only the three group winners progressing along with the best runner-up. England face hosts Poland in their final group game on Thursday. After a drab opening 20 minutes, Slovakia came into their own off the back of a corner that was perfectly deployed. As Albert Rusnak swung the corner in, Chrien made a darting run to the left corner of the six-yard box where he was left unmarked and consequently guided the ball into the back of the net. Aidy Boothroyd made one change from their draw with Sweden as Reading’s John Swift came in for Murphy. Slovakian forward Pavol Safranko was named on the bench again, even after his winner against Poland in the opening round. The Young Lions struck back five minutes into the second half as Mawson found the back of the net from close range. An inviting cross delivered by half-time substitute Jacob Murphy fell into the Swansea centre-back's path and he finished off at the second time of asking. England grew in confidence soon after Mawson's goal and found more space in between the lines of Slovakia's midfield and defence, creating more goal-scoring opportunities. Just past the hour mark England turned it around with a Redmond special. The Southampton winger picked the ball up on the left-hand side of the box, stepped inside and released a shot that flew past the keeper with the aid of a deflection. 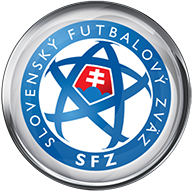 Slovakia had a penalty shout turned down by referee Gediminas Mazeika as the ball slapped against Murphy's hand to add to their frustration in the second half. Under pressure towards the end of the game, England's defence remained diligent and in control of Slovakia's attacking threats. Arsenal's Calum Chambers and Mawson have formed a formidable centre-back partnership, conceding only one goal in two games. It was the perfect response in the second half from the Young Lions as their European Championship campaign looked in jeopardy. Tammy Abraham carried his impressive performances from this season into the England camp and ran the Slovakian defenders riot. Linking up well with Mason Holgate, the Chelsea striker was finding plenty of space in the channels which allowed his midfielders to take up more advanced positions. A well-rounded team performance. Next up for England in Group A is a tricky encounter against Poland in Kielce on Thursday at 7:45pm. Table toppers Slovakia entertain Sweden in Lublin at the same time.